Preface I feel great pleasure to narrate the the autobiography of this treatise in brief. First, I authored a textbook on Railway Track Engineering. 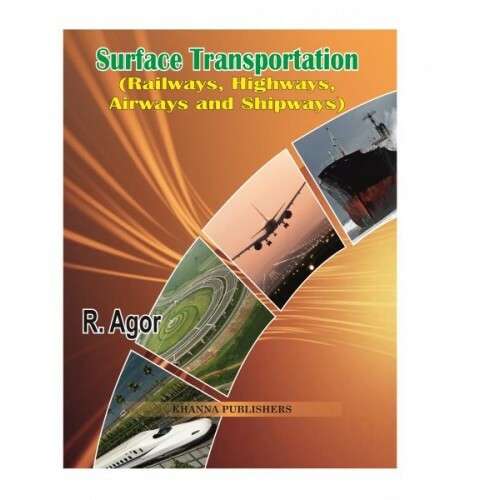 On demand of the valued teachers and students I added the chapter on Highways and renamed the treatise as Surface Transportation. Readers further demanded the chapters on Airways and Shipways. The Syllabi for degree examinations in Civil Engineering of various Indian Universities have guided me to include the topics in this treatise. I Shall be grateful, if any short comings in the text are brought to my notice. Suggestions/ criticisms for the improvement of the third edition shall be gratefully acknowledge. I express my sincere thanks to M/s. Khanna Publishers, for rendering the valuable suggestions and early publication of this edition.